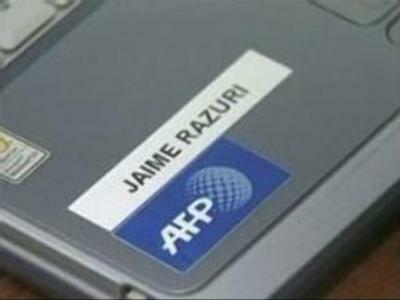 The French news agency AFP says Palestinian gunmen kidnapped its photographer Jaime Razuri in Gaza. His colleague working as a translator for AFP was a witness at the scene. Palestinian security officials confirmed the accident took place in central Gaza where many foreign news agencies have offices. So far no group has claimed responsibility for the kidnapping of the Peruvian photographer Jaime Razuri. “We came to complete our work but suddenly four four men with guns came and grabbed Jaime when he was walking beside me and put him in a car. Then they took him to an unknown place,” said the witness. Meanwhile, in Gaza clashes continue between rival Fatah and Hamas factions. Three Palestinians have been wounded in the crossfire between the militant groups. Tensions in the region remain high though Israel has eased travel restrictions on Palestinians living in the West Bank on the first day of the new year.